I think we actually found one another. Go with GUST-O and us, that is. Both were ending current existing relationships at the time. She had been with Bob and Susan for seven years, and had the itch. 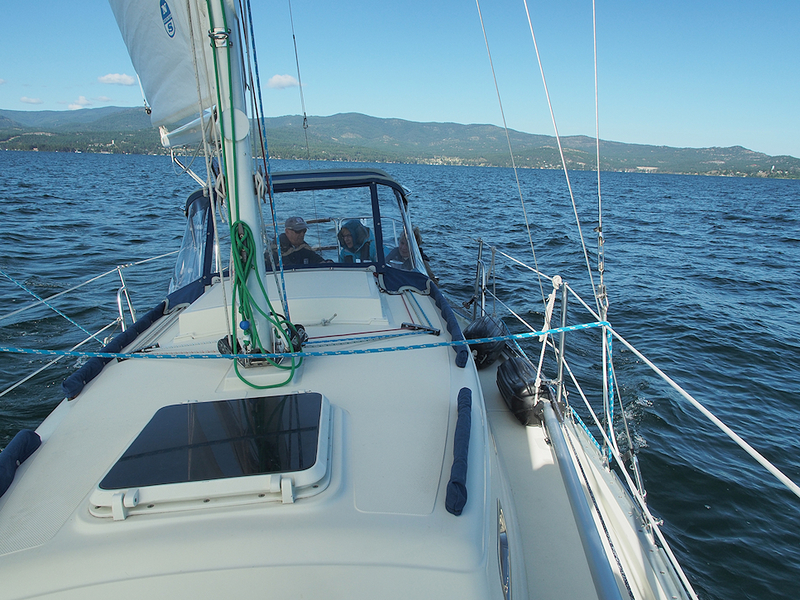 Life on Flathead Lake was sublime, but she was not getting the salt water exposure that she was purchased new to deliver. We, on the other hand had a Kevlar race machine four feet longer, and half the weight, and a much better turn of speed. At the same time, the race machine was demanding, and cried out for a full race crew that we could not deliver. Following up on a tip, we stood, shivering, outside of Sail Inn harbour one early spring day, staring through the chain link fence in amazement. What was that under the blue tarp? The exposed bow fairleads sure looked like a Dana 24. The triple axle trailer confirmed a stout load. We had been intrigued by this seaworthy little boat. The photos of the beautiful interior seemed too good to be true. We decided to follow up after the thaw. Be careful what you ask for! Our innocent inquiries led us to Bob and Susan, who were just in the throws of transitioning to a cabin . Before you could say “sea test”, she was ours! The links provided here will demonstrate what a wonderful and capable boat Go with GUST-O -O has proven to be for us. 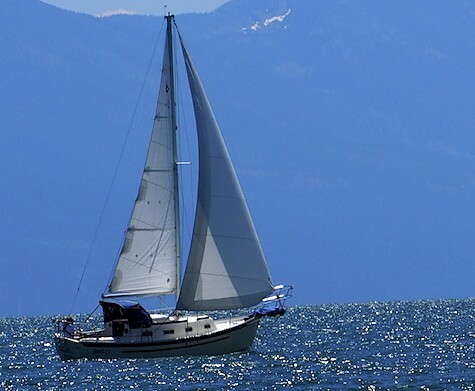 She can sail any ocean, be trailered without a permit, and provide a comfortable, albeit snug, home. We sailed a charter boat into Ucluelet on the wild west side of B.C. one day in 2014. There, nestled at a dock, amongst the commercial trawlers and Seiners, feeling justifiably at home, was a Dana 24.
a dodger and mini bimini custom fabricated by Dan Gould of Whitefish, MT. The height is just right for me to see over, and Brown Eyes to see through. This summer we added a 100W solar panel. Dan sewed zippers onto the panel and dodger. Awesome. An asymmetrical spinnaker that we are just learning to use more, and appreciate. 6 1/2 knots in 8-10 knots of wind! VHF radio, and AIS transponder. tiller pilot, and boom preventer. 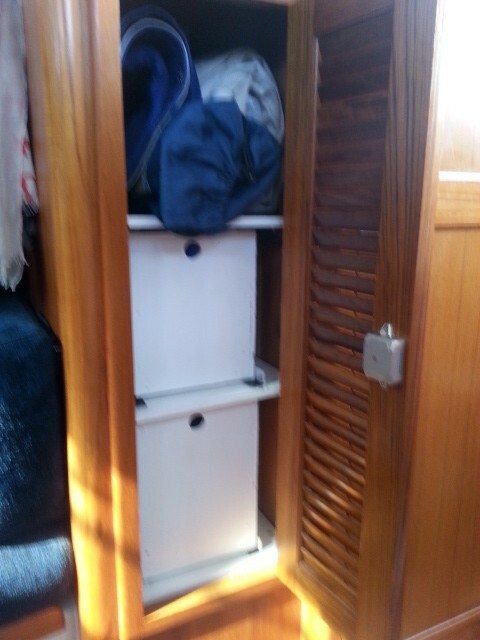 wardrobe conversion to drawers and shelf to increase storage. Thank you Karen and Jim for the inspiration. 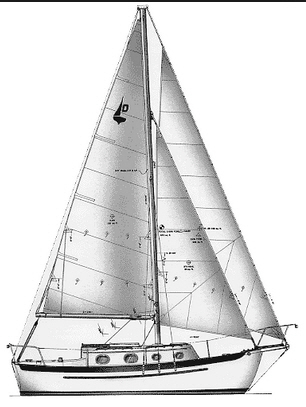 Ventspleen Review & Blog An excellent review of a Dana 24, s/v Doolittle, that has crossed the Atlantic to France and Croatia. 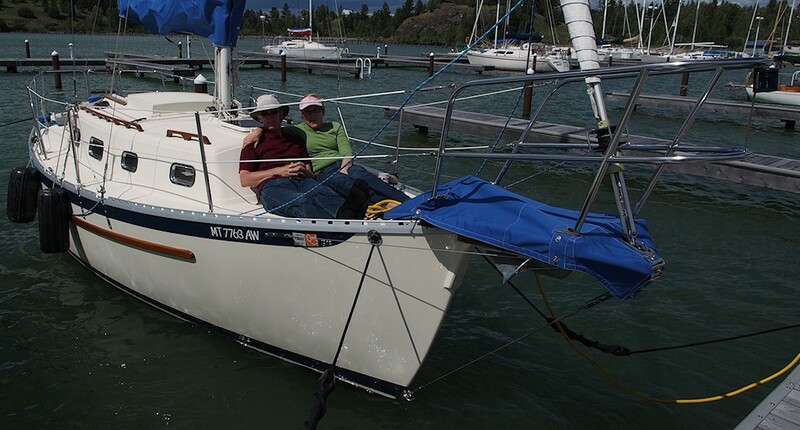 Karen & Jim’s Excellent Adventure Two Dana 24 owners team up for life, and sail s/v Sockdolager 10,000 miles to New Zealand, and then back home on a freighter. We have met them. You should too!